I'm loving this oatmeal! The recipe was submitted to the site by "breakfastbun" back in 2008. I finally got around to trying it today (March 2013). I'm kicking myself that I didn't try it sooner. 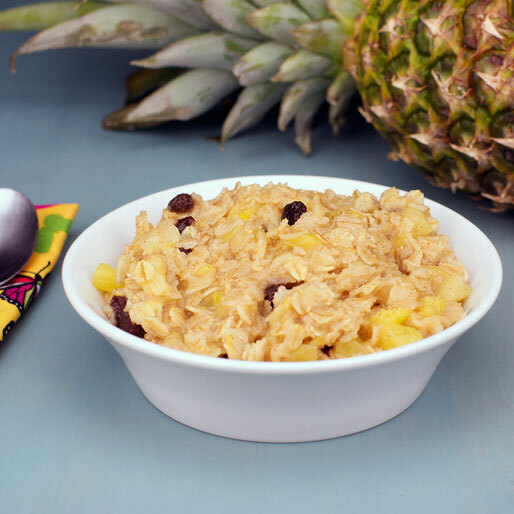 This one is so good - it's probably going to make my regular breakfast rotation. I didn't change a thing. 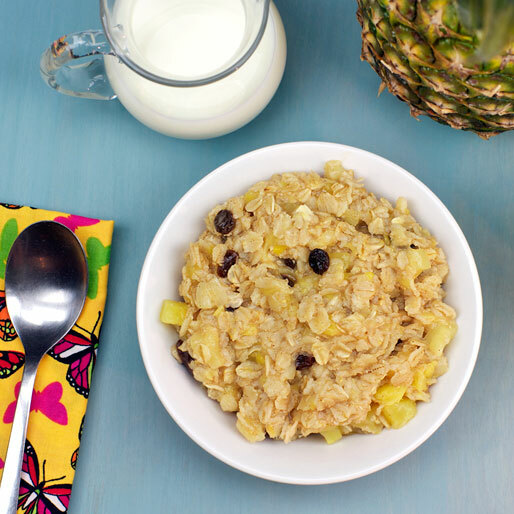 As submitted, this oatmeal recipe is mega-easy and extremely flavorful. The tropical pineapple flavor made me want to shout, "Aloha kakahiaka" ("good morning" in Hawaiian). 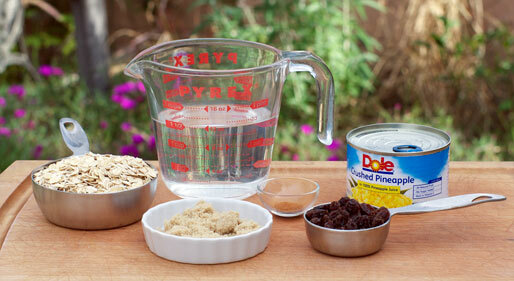 In a medium saucepan, combine the pineapple pieces (with juice) and the water. Bring to a boil, then add the oats, brown sugar, cinnamon and raisins. 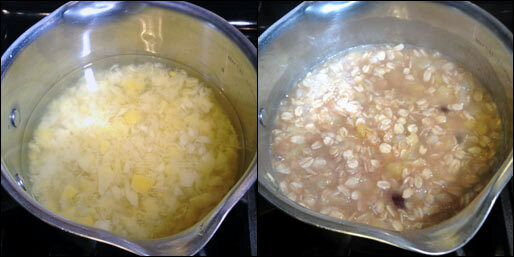 Reduce heat to a very low boil and cook for 5 minutes. Remove from heat and let stand 5 minutes. Distribute oatmeal among four serving dishes. Top each serving with a splash of milk if desired. I love this recipe. It kind of reminds me of pineapple upside down cake. Lightly sweet and fresh tasting. Recipe number 2427. Submitted 11/11/2008.